Adventurer-archaeologist Indiana Jones has borne witness to countless unimaginable horrors—a man’s face shredded in an airplane’s propellers, a human heart pulled still-beating from its thoracic cavity, the entire 119-minute run-time of Indiana Jones And The Kingdom Of The Crystal Skull—and yet the merciful caress of death continues to elude him. And Steven Spielberg, director of all four Indiana Jones films so far, revealed last week that the bullwhip-wielding septuagenarian academic will not be slipping from his creative grasp anytime soon. 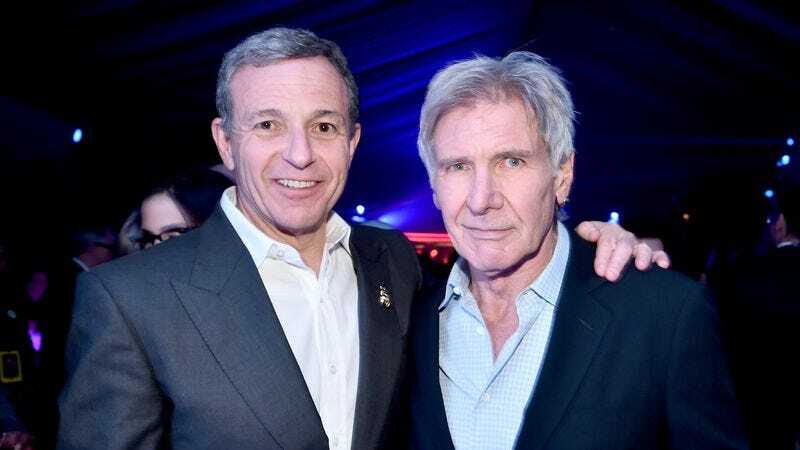 “The one thing I will tell you is I’m not killing off Harrison [Ford] at the end of it,” he confided to The Hollywood Reporter. And now Disney CEO Bob Iger is expressing similar sentiments about the profitable-yet-aging character. Right now, we’re focused on a reboot, or a continuum and then a reboot of some sort. … Well, we’ll bring him back, then we have to figure out what comes next. That’s what I mean. It’s not really a reboot, it’s a boot — a reboot. I don’t know. … We [got] Harrison Ford as Indiana Jones in the film. But then what’s the direction? I’ve had discussions about what the direction is, [but] I don’t want to get into it. … Yes, I do. I don’t think it reaches the scale of the universe of Star Wars, but I see making more. It won’t be just a one-off. So there it is. It’s going to be a series of reboots or boots or continuums that may or may not feature Ford in the titular role, assuming that Indiana Jones continues to be the central character of the Indiana Jones movies. But if Indiana Jones can survive a nuclear blast by simply climbing into a refrigerator, then getting through his 80s should be a breeze.